I'm all about scarves. I've made them in a ton of patterns and colors. When I sat down to start thinking about a project for my crochet club, I wanted to do something with them that would allow them to learn how to chain and count stitches. There are a lot of patterns out there, but I wanted something that would be super simple and allow them to be wearing their own work quickly. Along came the Chain Cowl. The pattern I made is simple and, honestly, you could do whatever pattern you wanted as long as you follow the basic premise: the pattern must repeat continuously. Row 1: Chain 120. Single crochet into the first chain to create a circle. Row 2 : Chain 11. Single crochet into the 12th chain in the first row. *Chain 11, single crochet into the 12 chain over. * Repeat until you reach the original single crochet. 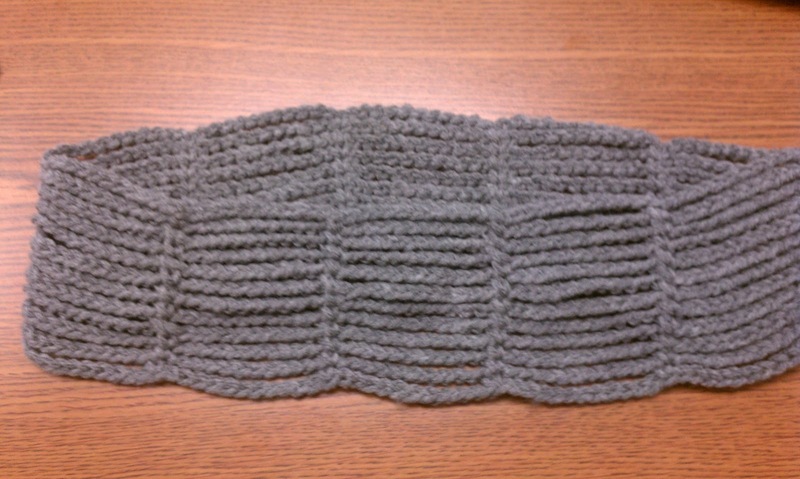 Row 3 and beyond: Single crochet into the very first single crochet stitch in row 2. Chain 11 and single crochet into the next single crochet stitch from Row 2. 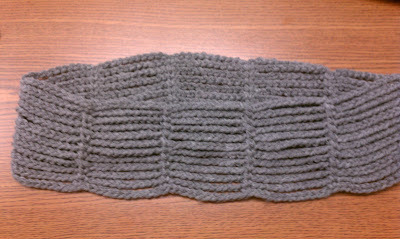 Continue to repeat this pattern around and around the cowl until it reaches the height you desire. When you reach that point, make a final single crochet, fasten off and weave the ends into the row of single crochets you have made. While I stopped at row 12, you could continue as long as you like! The girls loved it and I hope to share their projects soon!